America’s opioid crisis has taken another deadly turn: Cocaine laced with fentanyl, an opioid roughly 50 times more potent than heroin, is killing some drug users who often don’t realize what they’re getting. 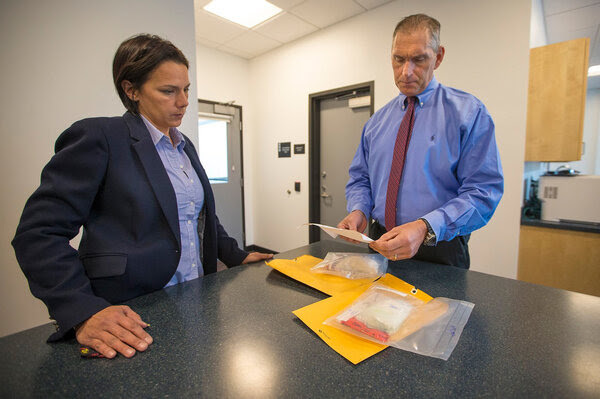 According to the Drug Enforcement Administration, 7 percent of cocaine seized in New England in 2017 included fentanyl — up from 4 percent in 2016. In Connecticut alone, the number of overdose cases in which fentanyl and cocaine are jointly implicated has increased 420 percent in the past three years. Martha Bebinger, a WBUR science reporter in Boston who has been closely tracking the problem, tells us that drug agents and health officials don’t yet know whether fentanyl is creeping in as a contaminant, or is being added intentionally.